North America’s largest carrier is updating two of its low-end Samsung phones to Android 8.0 Oreo. These devices are the Galaxy J3 Eclipse and the Galaxy J3 Mission, both of which are receiving the September 2018 security patch along with Oreo. The Galaxy J3 Eclipse Oreo update comes with build number J327VVRU2BRHA. The J3 Mission is being bumped up to J327VPPVRU2BRHA. The update brings many of the stock Android Oreo features, such as picture-in-picture multitasking, autofill support across the OS, notification dots, and limits on background activity by unused apps for faster performance and better battery life. You also get high-contrast options in the Samsung keyboard app, Dual Messenger, and an updated Phone app, along with many minor changes as detailed in our What’s New With Android 8.0 Oreo articles. Verizon has also made some changes of its own, such as removing some preinstalled apps and reducing Samsung apps like Samsung Health to a stub so you can download the full versions only if needed. To grab the Oreo update on your Galaxy J3 Eclipse or Galaxy J3 Mission, check the Software update section in the phone’s Settings app. If you aren’t in a rush, you can wait to be notified about the update by your phone. Having a Wi-Fi connection will accelerate that process and will also allow you to save on data costs. 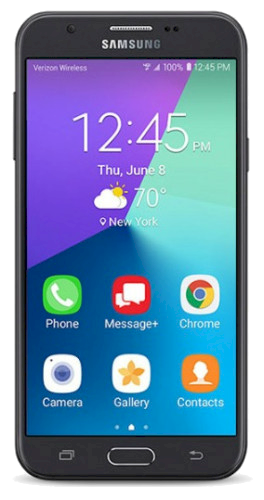 Have you received the Oreo update on your Galaxy J3 Eclipse or Galaxy J3 Mission?